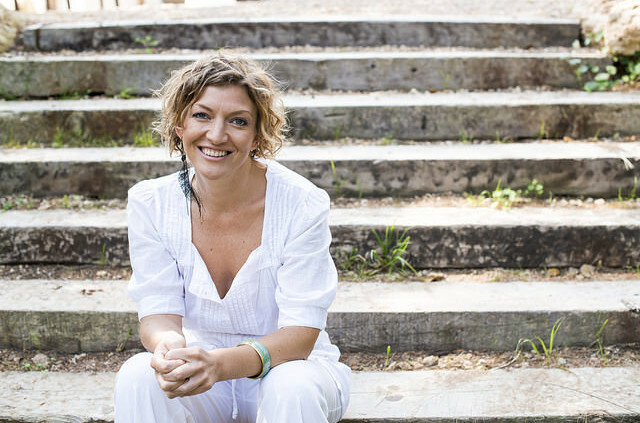 Ibiza wellness expert Faye Reason began studying Reiki energy healing many years ago and offers a very special, multi-layered healing experience to her clients here in Ibiza. Incorporating ancient wisdom, shamanic and crystal healing as required, Faye works with angels and guides to allow the most powerful and positive energy to flow through her to support your healing journey. It is empowering and enlightening – authentic, loving, healing. Faye’s specialty is her open-hearted care and total presence with every level of your being. She holds your space to ‘let go’ and dive deep within the treatment, to dare to be your true self, to open up to your desires, needs and dreams. Beginning with gentle meditation and breathwork, to enable you to consciously and unconsciously relax into a receptive state, Faye combines holistic massage, Reiki and advanced energetic and spiritual healing into your one and a half hour treatment. Her healing hands find physical blockages and softly, yet deeply, enable their release, whilst she intuitively channels the root causes for any physical or emotional pain or discomfort and encourages you to listen to, and learn from, the inner-meanings to ensure deep and lasting healing. Faye’s own journey, which took her into the rainforests of South America to purify and study with great shamans, opened her heart and mind to greater dimensions. Her intuition is powerful and heartfelt, drawing from her time with the indigenous peoples of the Great Lakes in Canada where she learned about heart medicine. Her work is for those who want to seek their truths, and who need the couragement of her brave heart and experienced care to be able to properly let go and receive. Clients more often than not express their appreciation with tears of gratitude – at having discovered the truth of the matter, for the opportunity to release traumas, limiting beliefs and debilitating fears. You will feel a greater sense of inner-peace, physical relaxation and connection to your purpose and your heart. Expect calmer, clearer thoughts, insights and the ability to be more ‘in touch’ with your true feelings after your experience with Faye. Faye co-hosts the Ibiza Retreats Boutique Yoga & Detox Retreats alongside co-director and yoga teacher Susie Howell, where you can enjoy plenty of sacred one-to-one time and personalised Faye care. She also gives the welcome massages during our Get Glowing Retreats in addition to a wonderful energy-work and self-healing session. Book her special 90-minute transformative healing treatment on retreat or in a private session in your home or holiday villa – contact us for further information. Both a healing massage and a ceremonial ritual, from the Hawaiian philosophy of ‘Huna’ (translated roughly to ‘the secret’ or ‘the knowledge’, Lomi Lomi massage is a healing practice developed by the native Kahuna healers. In traditional trainings, massage practitioners were apprenticed from childhood and received decades of training. Mastery, it was said, could be achieved throughout a lifetime. Here in Ibiza, our modern-day master of this ancient healing art is Shambala Wegner, passionate about her purpose and boasting a wealth of mind, body and spiritual training and experience. Shambala’s open heart and many decades of body work lay the foundations for this profound and life-enhancing treatment, and she welcomes you to let go, be nourished, deeply relaxed and pampered on her table. Quite literally, Lomi means to rub, soothe, knead or work in and out like the paws of cat. As a receiver you can luxuriate in this deeply restorative treatment, or surrender more deeply in body, heart and mind to the ancient healing arts that flow from Shambala’s hands. Using plenty of oil, the treatment is always given with prayer and intention, plus music and song, as dancing hands and flowing strokes resonate through every cell of your being like the movements of waves, purifying, healing and releasing. Shambala is fully receptive to your unconscious signals and your body’s need to hold on, reassuring you with her calm, loving care. Breathing with you, she inherently senses your readiness to release. Floating and serene, you are reconnected with your feminine qualities (whether you are male or female) and you can expect to leave the massage bed softer, more soothed, and with your skin feeling supple. The benefits of this unique and ancient massage ritual include improved circulation, immunity and posture; lower blood pressure, increased flexibility and healing plus an overall feeling of wellbeing and harmony that is noticeable after just one treatment. During the Ibiza Retreats Get Glowing Retreats, Shambala is a resident therapist, resplendent in her warm and welcoming temple treatment room, filled with colourful, lush flowers. You can also experience Shambala’s Lomi Lomi massages on during the Just Stop! Retreats or by private appointment – enquire with us for more information.